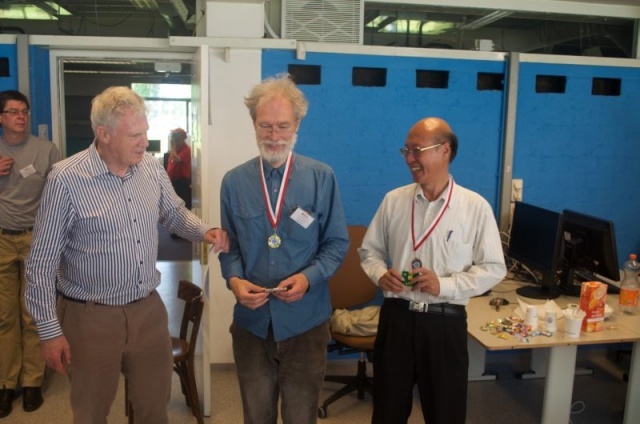 from June 29, to July 05, 2015, Snellius Building  , Leiden University, Leiden, The Netherlands, in conjunction with the WCCC 2015, the WCSC 2015, and the Advances in Computer Games 14 conference  . 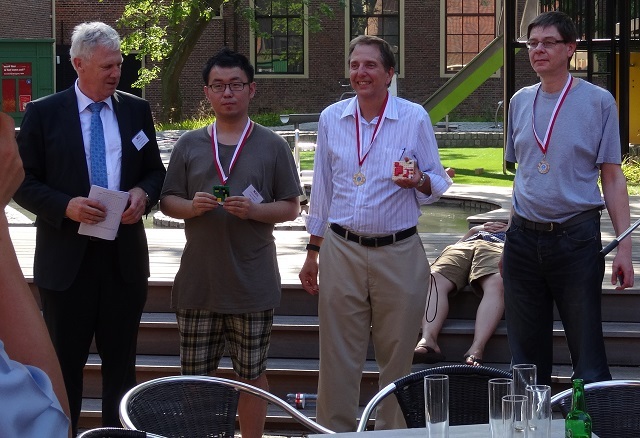 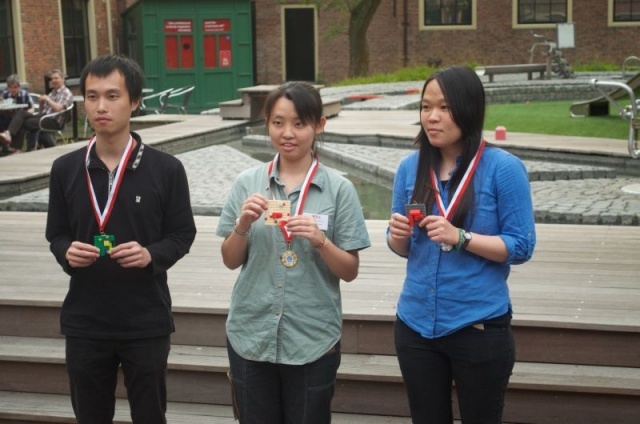 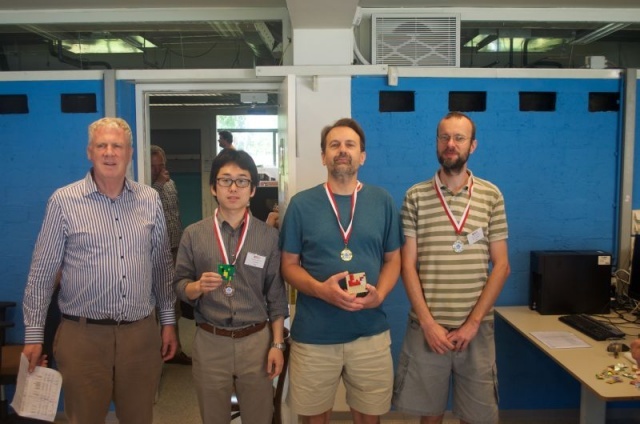 The prize giving took place on July 01 and 02 after the official reception and excursion in Museum Boerhaave  in central Leiden, and in the playing rooms of the Snellius Building on the other days. 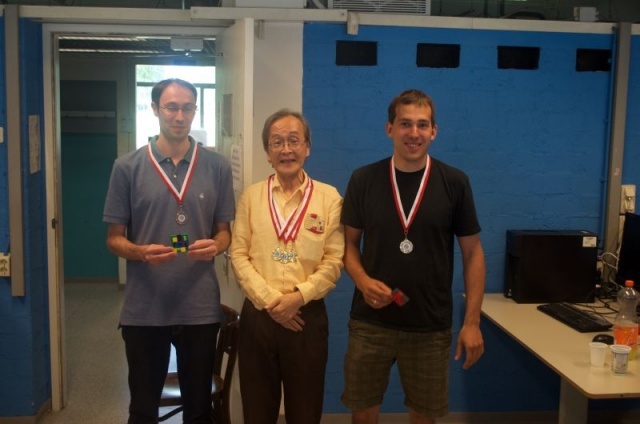 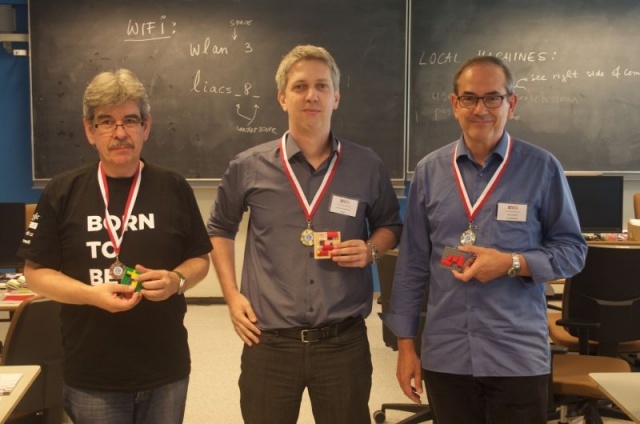 Additional medals for all prize winners were created by Ingo Althöfer with Lego bricks, his socks and his washing machine  . 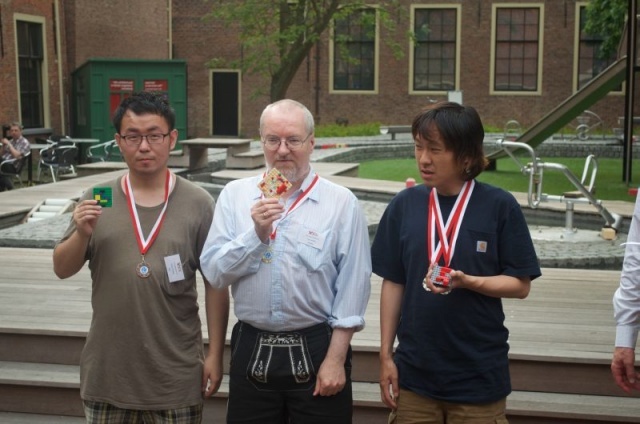 Simon Viennot, Kokolo Ikeda, Junichi Hashimoto et al. 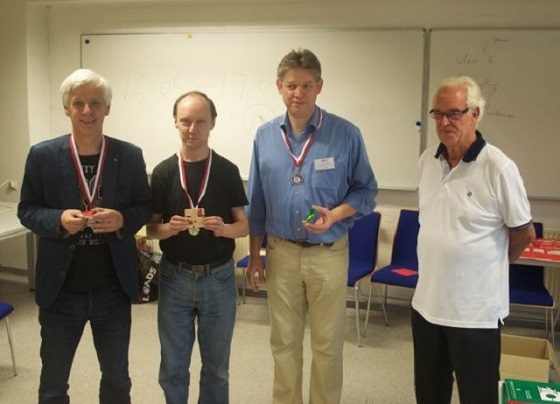 ↑ Results | ICGA | EinStein würfelt nicht! 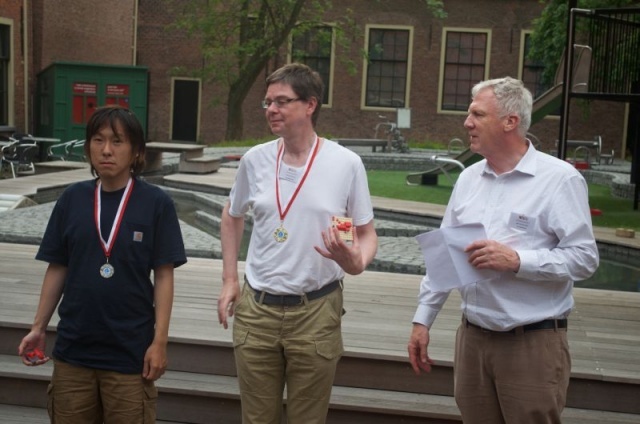 This page was last edited on 27 May 2018, at 19:50.